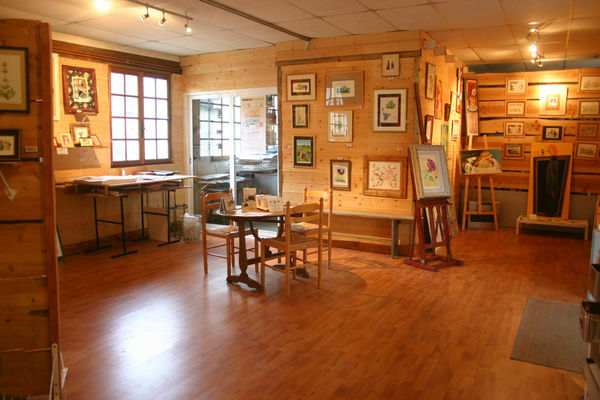 The Galerie Espéranto has a permanent space which showcases the works of Pascal Labranche, an artist who primarily specialises in creating wine labels. Illustrations, dry pastels, watercolours, Indian ink and oil paintings using multiple sources of inspiration cover the walls of this 70 m2 gallery. There's also a picturesque temporary space in an oak gallery from the 18th century, where we display every month during the tourist period the works of a particular artist (painters, sculptors, potters...).